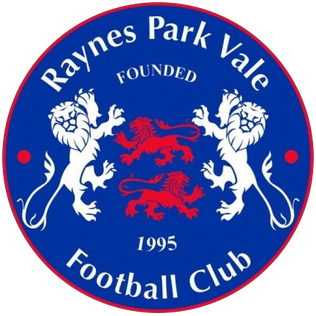 Raynes Park Vale were founded in 1995 after the merger of Raynes Park and Malden Vale. The club started in the Combined Counties League, finishing second from bottom in their first season. 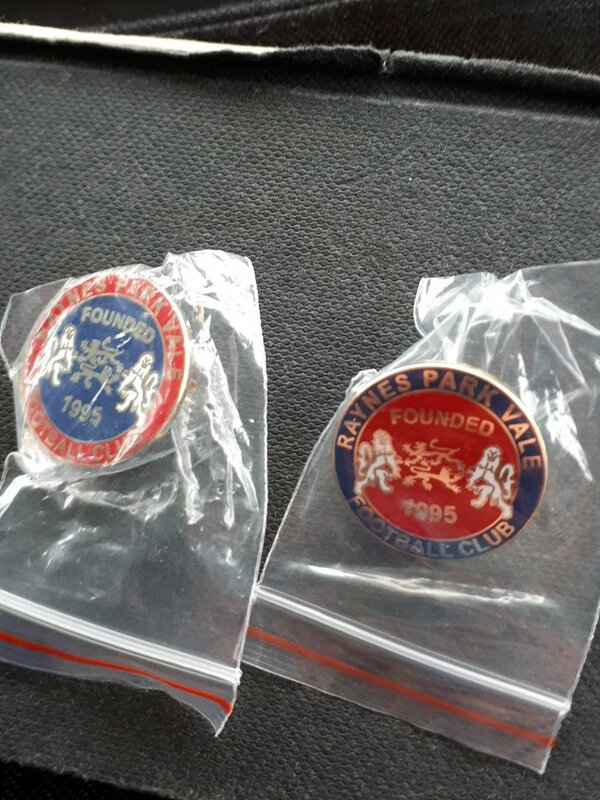 After this, the club had several seasons of inconsistent finishes, with a highest finish of 4th in the 1997/98 season, before the Combined Counties League added a Division 1. When this happened, the club were placed in the Premier Division, where they remained until finishing bottom of the league at the end of the 2016/17 season and being relegated to Division 1. 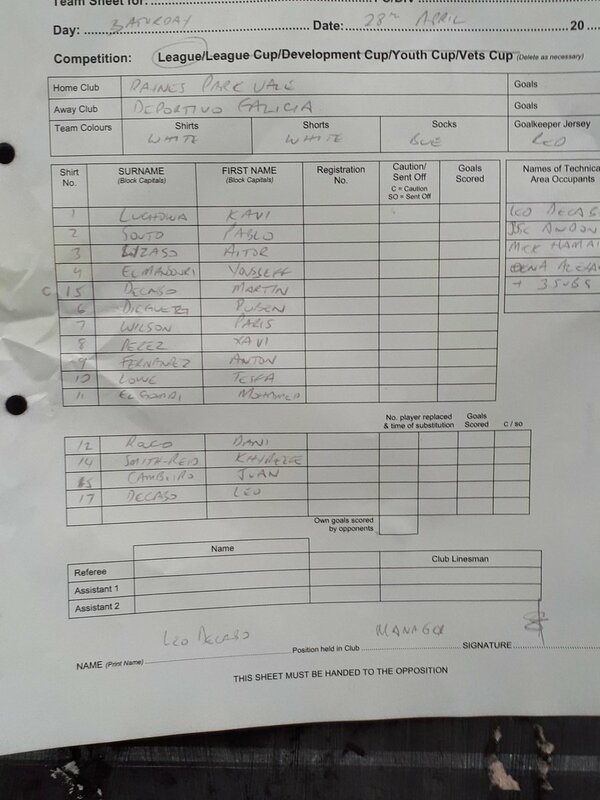 The 2017/18 saw the club finish 5th in Division 1 and, due to champions Worcester Park and 4th-placed Sheerwater not playing at grounds meeting the necessary grading requirements, the club found themselves in the third and final promotion place to make an immediate return to the Premier Division. 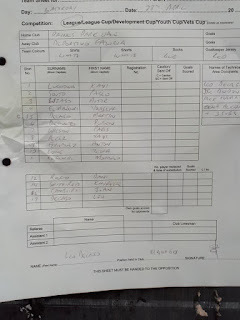 In the FA Cup, the club's best run saw them reach the 2nd Qualifying Round in the 2014/15 season, beating Cray Valley Paper Mills, East Grinstead Town and Ramsgate before losing to Billericay Town. As for the FA Vase, the club has progressed as far as the 1st Round on four occasions, most recently in the 2014/15 season when they beat Crowborough Athletic and Epsom Athletic before losing to Westfield. Originally, I had planned to visit Raynes Park Vale back in early March, having met some of the very friendly people involved with the club at Cove in October but wanting to wait for some works to be done to fix up the ground (March was the first real opportunity to do so). However, that game ended up being postponed and I ended up at Corinthian-Casuals instead. At the time, with reasonably concrete plans for the rest of the season, I thought that this would have to wait until next season. However, as the end of April approached and I returned to University for the final few weeks of my first year, it became clear that I would not actually be in a position to go further afield as I had originally planned. 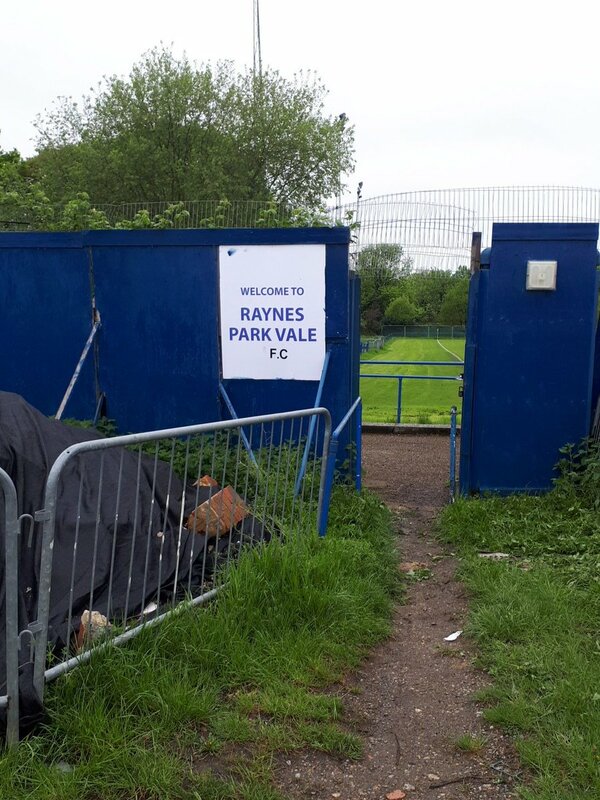 As such, upon seeing Raynes Park Vale as a fixture on the day, it didn't take much consideration before my decision was made. I can't remember the exact details of the train journey a month on, but I cannot recall any issues with it and so assume it was nice and easy for once. 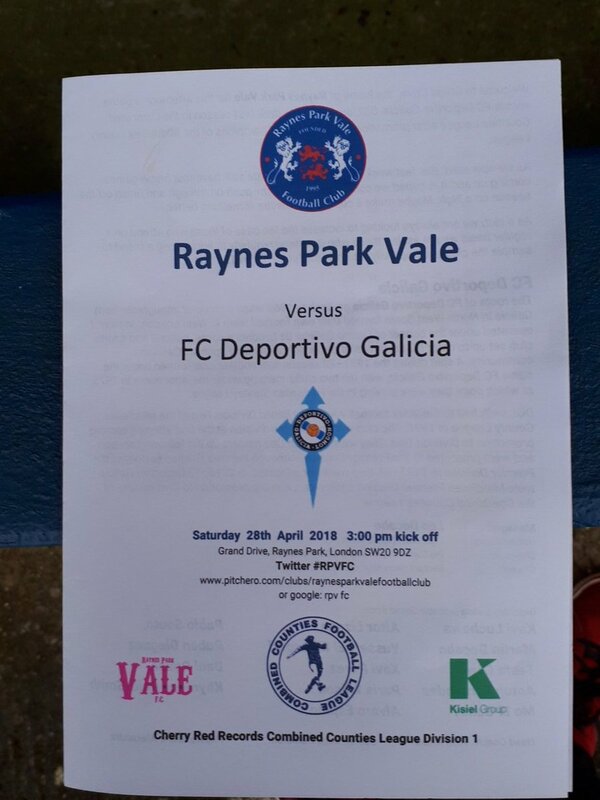 I think I got to the ground around 40 minutes before kick-off, paying £5 admission and being told that Dominic (who I met when Raynes Park Vale played at Cove in October, and who seems to be working very hard for the club behind the scenes) would arrive with the programmes in due course. Satisfied with this, I went around the ground to do my circuit of photos, after which I settled in the main stand until Dominic arrived with the programmes, at which point I went and collected mine. As kick off came closer, it started to seem like I would be part of my smallest ever crowd at a football match, with just 4 spectators at the ground including myself (and excluding the various club officials) as of five minutes before kick-off. Eventually though, the crowd grew to somewhere between 25 and 30, which is still probably one of the smallest I've ever been part of. 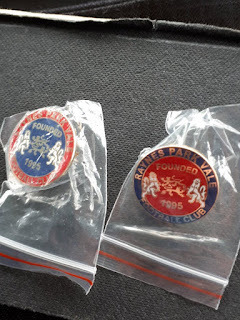 Shortly after kick-off, Dominic started giving out free badges to all the spectators (myself included, obviously), which I felt was a nice touch and which also did not surprise me in the slightest, given the friendliness of all the club officials I had seen and met up to that point. 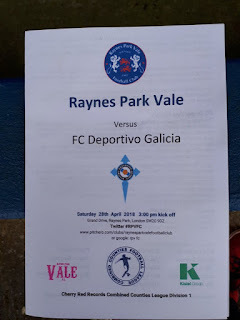 I can't remember what the table was like at the time, but what I do recall is that Raynes Park Vale, as Dominic understood at the time (and which turned out to be true when the Step 5 and 6 allocations were released last week), needed to win to secure promotion back to Step 5 at the first attempt, while FC Deportivo Galicia were comfortably in mid-table, having had a reasonable first season at Step 6. 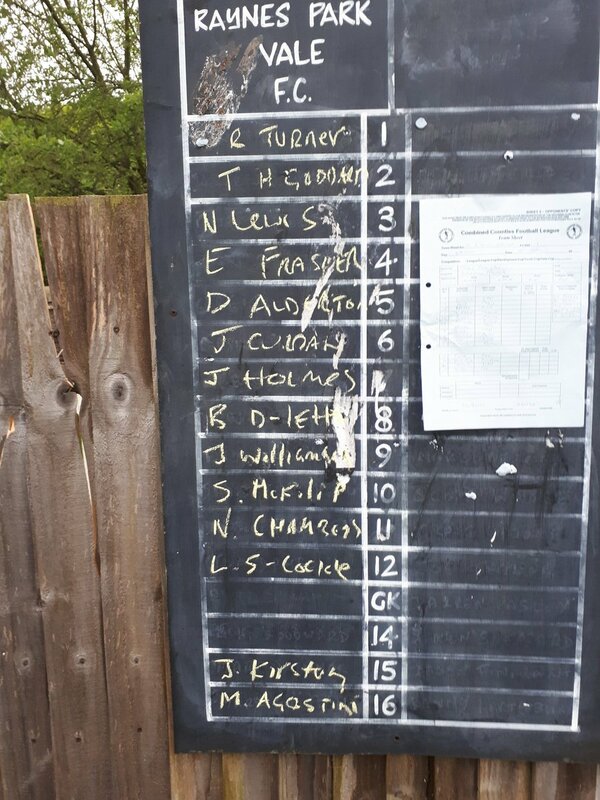 For a while this was looking like a very good and scrappy 0-0, with both sides creating plenty of chances and each having a man sent off (Eoin Fraser for the home side in the first half and Anton Fernandez for the away side in the second just after the goal). 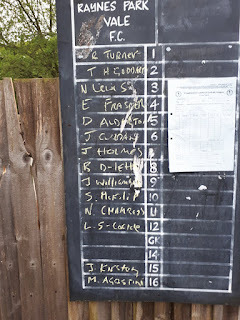 The first half was pretty dire for a while though, with neither side getting much rhythm to the play and loads of strong tackles flying in (many complemented by lots of complaining from the away side, leading to the aforementioned sending off). The second half was much better though, with the game becoming end-to-end and only being so light on goals because of profligate finishing and decent goalkeeping. However, as we reached the dying moments of normal time in the second half, RPV's Byron Douglas-Letts scored an excellent goal, catching the ball perfectly on the half volley to score. The red card for the away side came soon after the game kicked off again, but it finished 1-0 to the home side in the end. As has often been the case this season, this was a very enjoyable groundhop, but the day was made even better by the humour and friendliness of Dominic and the other RPV officials, who did their best to make the day enjoyable and memorable for everyone: because of this, I'm absolutely delighted that they earned promotion to Step 5, and I will be looking forward to visiting again next season, as well as watching them on the road every now and then (definitely when they visit Guildford, at the very least). Grand Drive is a fantastic old-school ground, and one the likes of which seems to becoming rarer and rarer every season. The near side of the ground has an impressive 200-seater main stand, with evidence of some terracing on either side of it. There's a small area of covered standing behind the near goal, which probably provides cover for at most 50 people. There's another covered standing area behind the far goal, but I'm honestly not sure if it is intended to be used for that purpose, given that it could only hold 5-10 people at most. The rest of the ground is open hard standing, with some retro floodlight pylons inside the ground as well and the clubhouse outside the ground in the car park. Overall, the ground was very good by Step 6 standards, and should be a fine addition to Step 5 as well for next season; anything above that would perhaps be a challenge, but either way it's more than sufficient for the club's current needs. I would definitely recommend a visit if you're a groundhopper in or around London and haven't been yet.